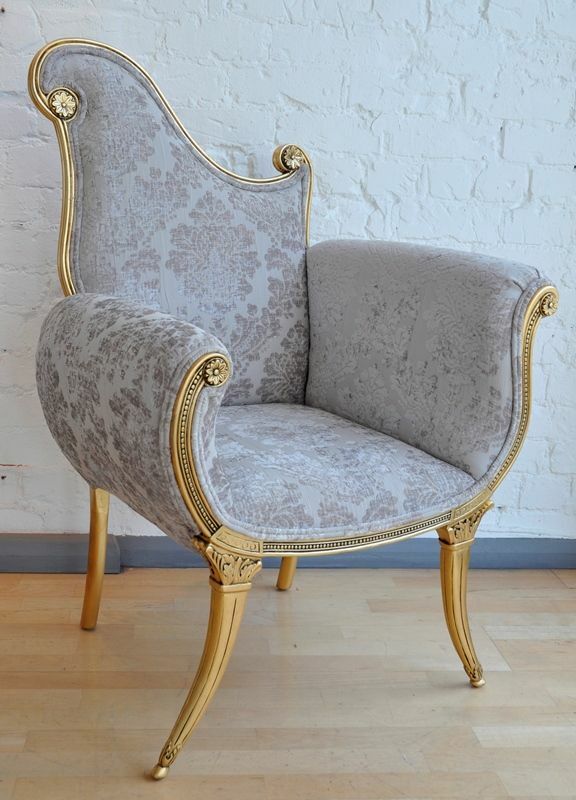 Our demure Florence Chair displays such elegance with its graceful form of a serpentine shaped frame and delicate beaded details this stunning chair really does echo the playful style of the Rococo period. 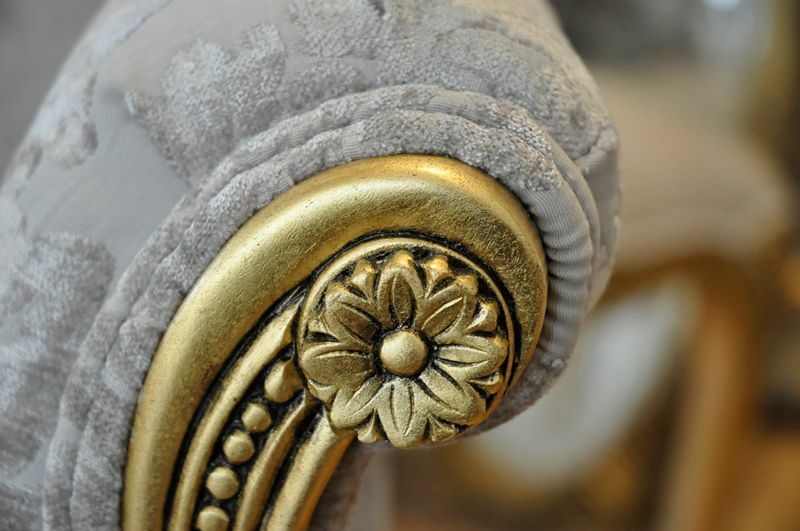 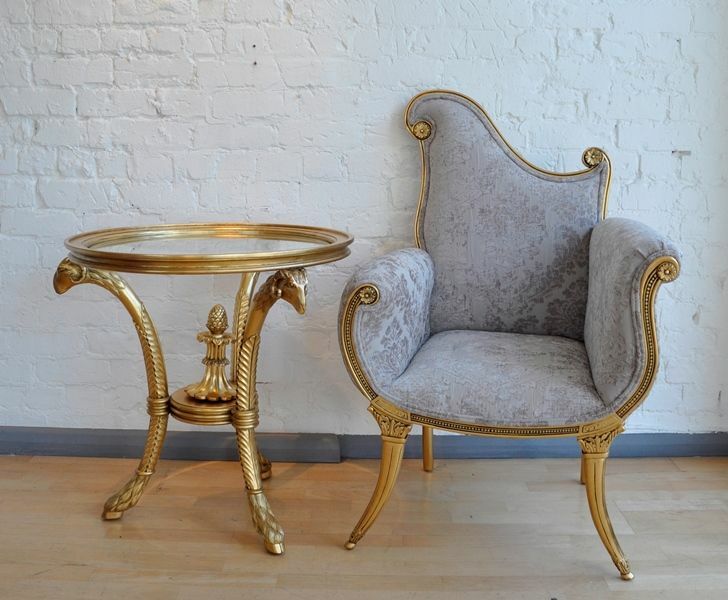 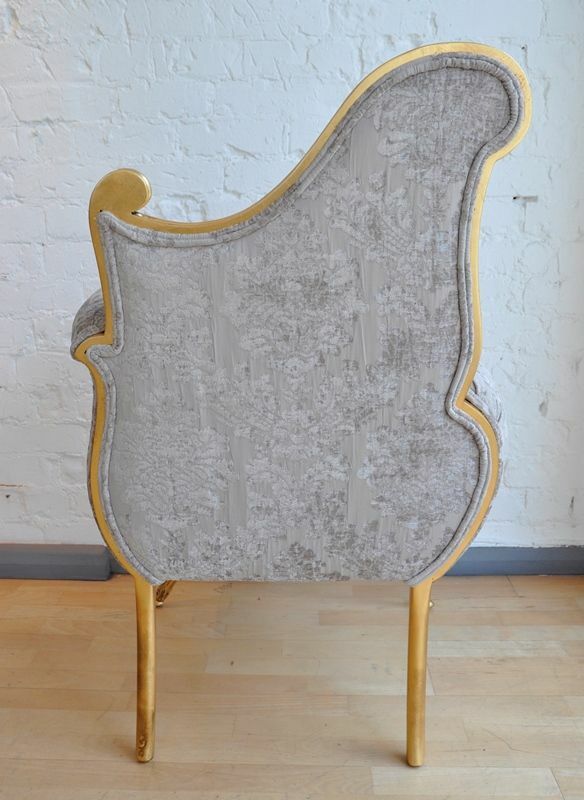 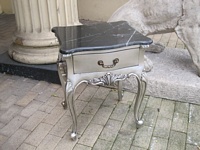 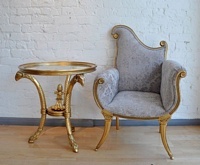 The hand-carved detail of this elegant, graceful chair is enhanced by the ultimate glamorous finish of gold leaf. 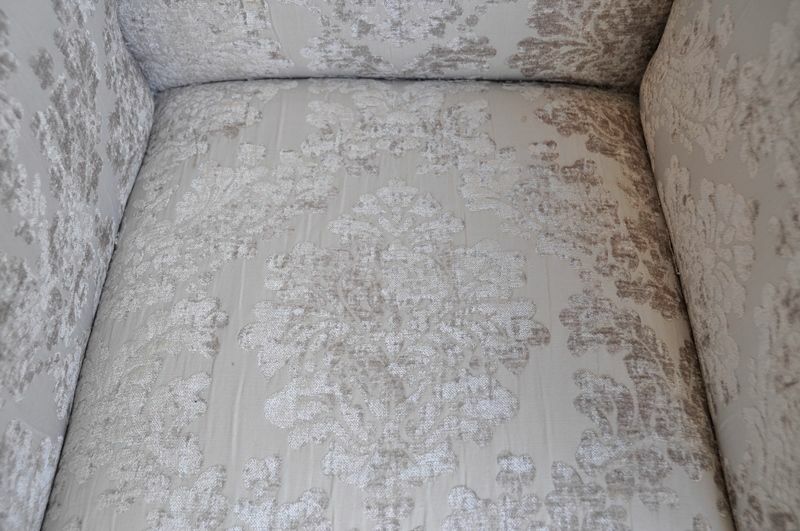 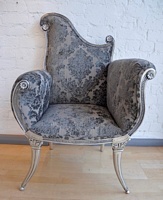 Using only the finest upholstery the champagne velvet damask fabric truly compliments this unique chair. 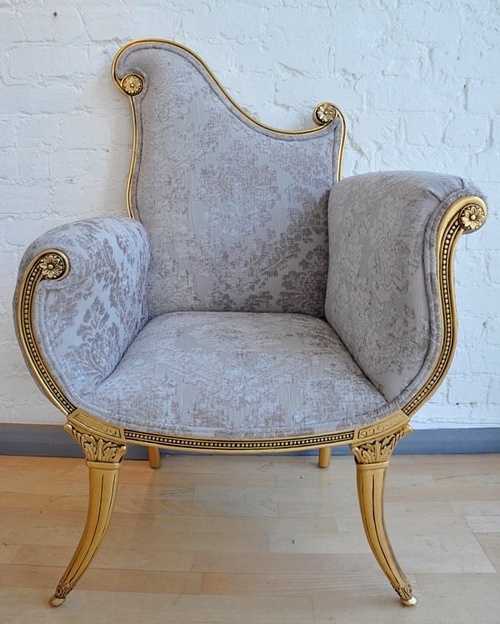 Stock: In stock: Free delivery to most parts of the UK. 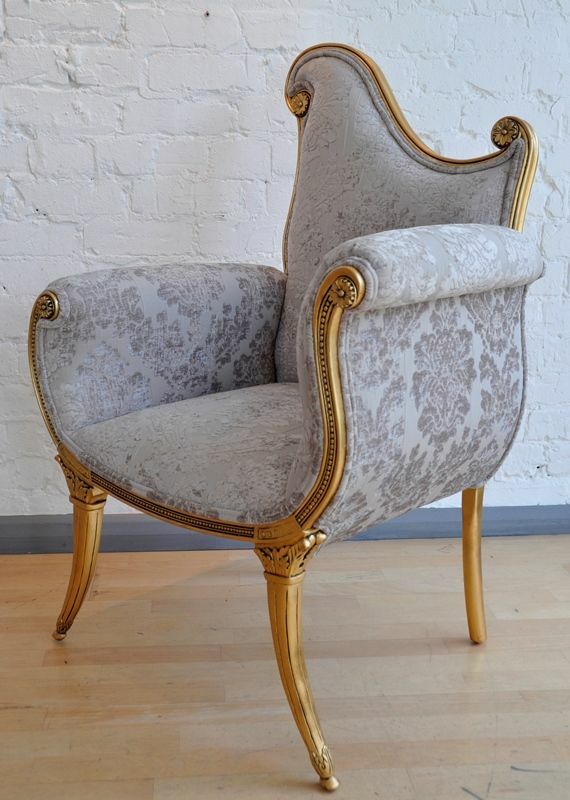 Also Available In a Symmetrical Pair.